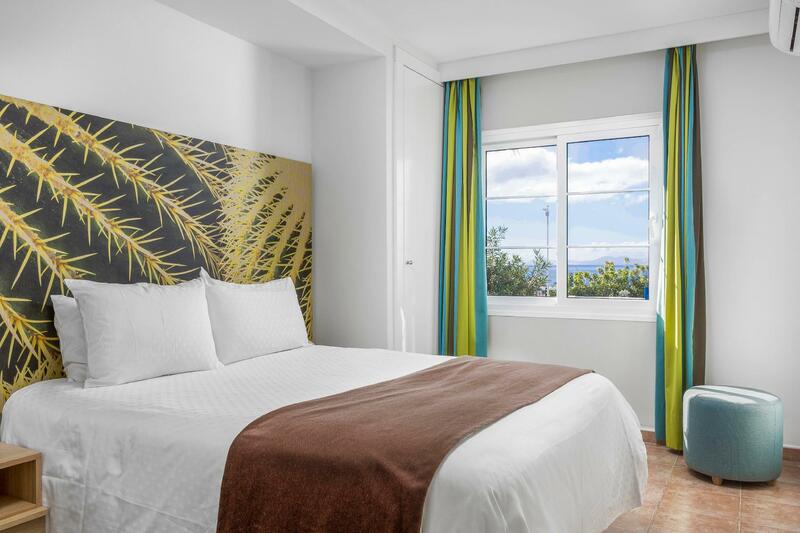 ﻿ Jardines Del Sol by Diamond Resorts Lanzarote. JIMAT di Agoda.com! Ada soalan mengenai Jardines Del Sol by Diamond Resorts? Terletak pada kedudukan yang baik di Playa Blanca, Jardines Del Sol by Diamond Resorts adalah tempat yang sesuai untuk memulakan lawatan anda di Lanzarote. Dari sini, tetamu boleh menikmati akses mudah kepada semua yang bandar meriah ini boleh tawarkan. Dengan lokasi yang mudah, hotel ini memberikan akses mudah ke tempat yang anda perlu lawati di bandar. Perkhidmatan hotel kelas pertama dan kemudahan yang menentukan pengalaman Diamond Resort Europe menanti anda di Jardines Del Sol by Diamond Resorts. Ketika menginap di hartanah yang indah ini, para tetamu boleh menikmati meja depan 24 jam, fasiliti tetamu kurang upaya, Wi-Fi di tempat awam, tempat letak kereta, bilik keluarga. Hotel-hotel telah direka demi keselesaan dan memudahkan tetamu. Sebahagian bilik menyediakan ruang tamu asing, bilik larangan merokok, penyaman udara, beranda/teres, jam loceng. Hotel ini menawarkan pelbagai kemudahan rekreasi yang sangat baik, termasuk kolam renang terbuka, rumah urut, taman permainan kanak-kanak, kolam renang (kanak-kanak), meja ping pong. 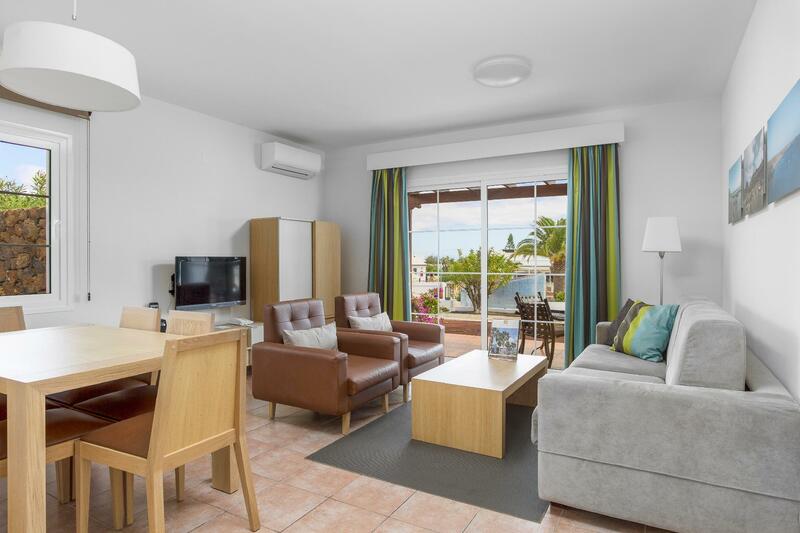 Jardines Del Sol by Diamond Resorts merupakan tempat yang ideal bagi penginapan pelancong yang mencari keindahan, keselesaan dan kemudahan di Lanzarote. Kanak-kanak daripada semua peringkat umur termasuk dalam penghunian maksimum di penginapan. Bayaran tambahan dikenakan untuk penggunaan kemudahan tempat peranginan yang tertentu. Sila hubungi pihak penginapan terus untuk maklumat lanjut. Why I wouldn’t recommend the hotel is that the walls of the double houses (they are all the same type) are so thin that we literally heard our neighbor next door snorring. And in our case that prevented us from sleeping. It was really noisy and disturbing. And I mean here both of us. The mattress and sheets were really nice and would have provided everything for a good night sleep. But those people with a light sleep won’t be too satisfied. It comes without saying that every neighbors word could be heard too. At least in the bed room. However Cleanliness and kitchen equipment was very good. The staff were exceptional particularly Maria & Gerardo who was a great help before we even arrived. Nothing was too much trouble. Would recommend to young and old alike. Location is the only thing I would change however taxis were between 4-5 Euros for journey hone at night. Great place to relax. Apartments are very well equipped and spotlessly clean. Staff are extremely friendly and helpful restaurant is very good value for money. Couldn't fault it. Will definitely be back. What a wonderful surprise I wasn't expecting too much as we are used to the high end 5 star resorts. Well we were totally blown away. The Jardines Del Sol is perfect in every way. Apartments spacious, peaceful and immaculate. They have every imaginable amenity though we dined out except for a quick breakfast, if you desired you have produced a ten course meal for 6 people, with all the facilities in their kitchen. The beds are so comfortable, better than all the luxury hotels! Honest!! The staff simply cannot do enough for you, always at your disposal and willing to help with anything however large or small. 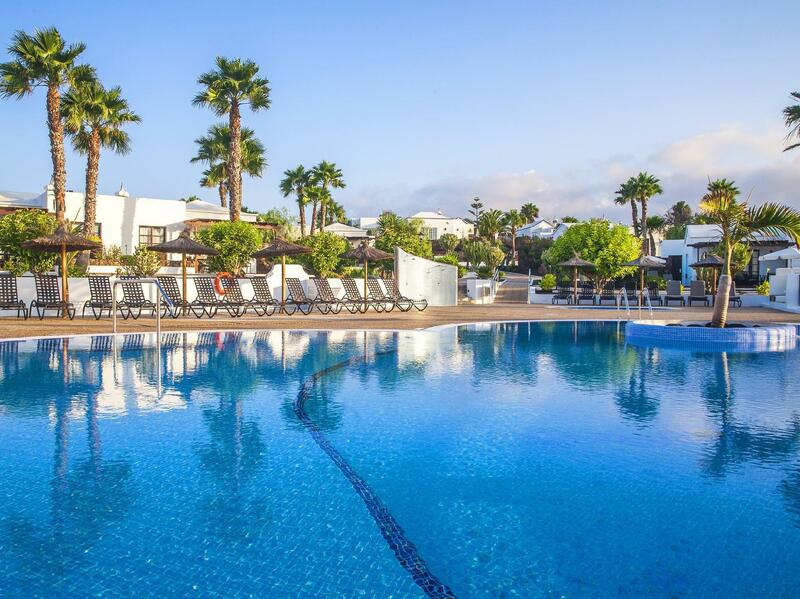 The pool is very clean and beautifully maintained it is very peaceful with loads of sun loungers. They have an excellent policy where you cannot reserve loungers with towels for most of the day. It means those using the pool actually get to use them. So watch out Germans!! The gardens are beautifully maintained, patios are lovely at the resorts, with full table chairs and sun loungers, bathrooms spotless with full bath and shower. Easy parking with loads of spaces. It looks like it would be a good place with those who have reduced mobility. It is also appears to be great and safe for families. 5 Stars!! Thank you to all the Le Jardin De Sol. GO here you won't be disappointed!! This resort is well designed to give each of 24 bungalows a terrace view. the accommodation is 2 bedroom with a lounge and well equipped kitchen.We wanted for nothing. Lovely staff, facilities and peaceful relaxed holiday. You can cook or use the restaurant or order a take-away..Playa Banca is about a 20 min walk away. Taxis available, reasonable fares. Will go again. Pool was not open or heated. We were told pump was out of action but was being fixed "tomorrow" . It never was fixed. Charge for wifi was €7.85 /day! That was for 4 devices. We did without the wifi! You can get wifi free at many cafes/restaurants. Potentially great place to stay but spoiled by noted issues. We only stayed for 1 night as we had already booked our accommodation. Wish we had stayed here the whole time. Next time we will. Wir waren insgesamt vier Nächte im jardines del sol (diamond resort). Die apartment Häuser sind großzügig und voll ausgestattet. Auch die Anlage ist wunderschön hergerichtet, sehr gepflegt und weitläufig. Sie liegt etwas oberhalb von Playa Blanca. Ins stadtzentrum und zu den Stränden bedarf es einem längeren Fußweg von ca. 25 min oder einer kurzen Taxifahrt. Das resort ist sehr auf die Bedürfnisse der größtenteils Englischsprachigen Gäste ausgerechnet. Dies spiegelt sich auch beim Angebot im Restaurant wieder. Insgesamt waren wir sehr zufrieden vorallem was das Preis - Leistungsverhältnis angeht. Das Personal ist sehr zuvorkommend und freundlich. La entrada a las 4 y la salida a las 10 de la mañana no te deja disfrutar del alojamiento, tienes que darte un madrugón para dejar la habitación, fuimos un fin de semana para relajrarnos y no volveremos por estos horarios incompatibles, el domingo las hamacas de la piscina estaban sin colchones y tenías que ir a cogerlos tú y colocarlos, un servicio pésimo por lo que pagas. Tranquilidad, buen precio y amplitud.